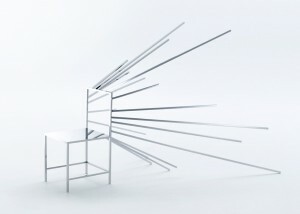 Japanese design studio Nendo has created a series of 50 chairs, each based on the abstract lines and grids used in graphics for manga-style comic books. The 50 Manga chairs will be presented as an installation for New York gallery Friedman Benda during the Milan design week, which takes place from April 12 to 17, 2016. Each chair in the Manga collection is made from polished stainless steel, and is intended to emulate a design element used to illustrate emotions or actions in stories. 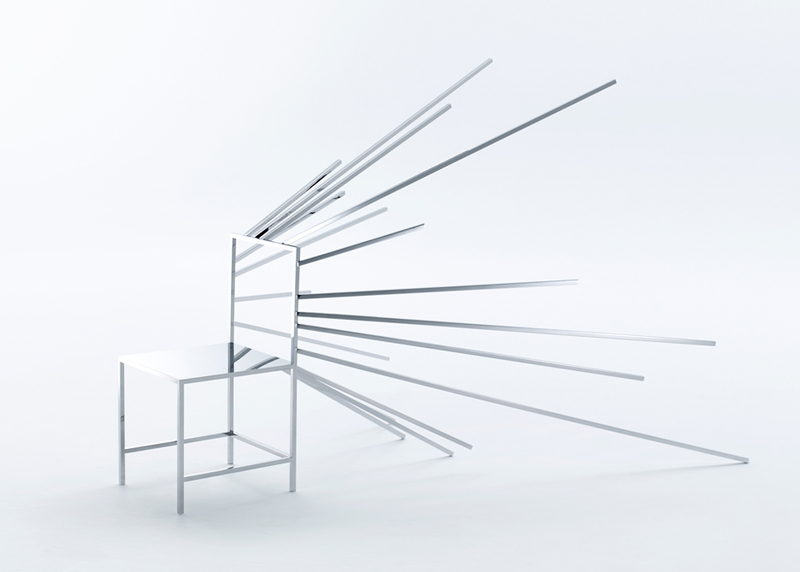 An effect line – a series of lines often used to visualise sound or action – is presented through a chair with numerous poles protruding from its back. In a similar way to the comics, physical aspects such as colour and texture are intentionally avoided. Instead, the designers opted for a complete mirror finish.